I really want to sea a water monster in Evolve but it’s tricky to bring the water concept to life because it would require whole different maps and terrains. My idea was to make the monster bring the water to the hunters and fight on its home ground, or more accurately, home water. Its attacks and abilities would change depending on whether it’s on the ground or in the water. It would require a whole different play style from any other monsters and should be a lot fun to play. I brought the name Calypso from the name of the sea goddess in The Pirates of the Caribbean. Something like the image above so that it can move both on ground and in the water. Pieces of coral on its body should make it look cool. (On ground) Range attacks. Shoots highly pressurized water. (In water) Melee attacks with tentacles. Similar range with Behemoth’s. (On ground) Calypso’s body briefly turns to water and slide forward. She doesn’t take any damage during the movement. She can’t climb walls with this movement. (In water) Calypso swims forward toward the direction she is facing. The distance she travels increases compared to distance on ground. (On ground) This is Calypso’s main and most important ability. All of her other abilities will work off of it. Calypso summons a gigantic sphere of water with her at the center. The size of the sphere will be about half the size of the mobile arena. While in the water, Calypso will be able to swim in any direction. She will also move faster than on ground. This will give Calypso an incentive to alway fight hunters while inside the Realm as she will have much more mobility. Hunters will also be able to swim in the Realm as if they’re in normal water but will also be able to shoot weapons and use abilities as normal. When they jetpack, they will dart forward in the direction they’re facing, not upwards. Hunters outside the Realm cannot shoot at inside the realm but can enter the Realm from outside. However, they cannot exit the Realm once inside. Calypso can exit the Realm but it will disappear when she exits it. Inside the Realm, all of Calypso’s abilities will undergo slight change. The cooldown for this ability starts ticking after the duration runs out or Calypso exits the Realm. Leveling up the ability will increase its duration. (In water) Calypso dissolve into the water for a short period. While the hunters can still see her, she will be harder to spot and not take any damage during the duration. She can still trigger placeable items like Markov’s mines or Maggie’s harpoon traps but won’t be affected by them. Calypso cannot use any of her abilities during the duration of the ability but will be able to melee attack the hunters for half the normal damage. Any damage she deals while the ability is active will replenish her armor. Leveling up the ability will increase its duration. (On ground) After a short delay, a large pool of water erupts from a target location, damaging and knocking up targets in the area. This ability can only be cast at ground, not walls or ceilings. Leveling up the ability will increase its damage and radius. (In water) After channeling for a short period, Calypso lets out a torrent of water in a straight line, damaging and knocking targets away from the line of damage. They won’t be knocked all the way to the end of the torrent like with Kraken’s Vortex, but away from the center of the line of damage. It also travels faster than Kraken’s vortex and will be harder to avoid. The hunter will have to react to Calypso channeling the ability, not at the ability itself. Leveling up the ability will increase its damage and radius. (On ground) Calypso summons a maelstrom at a target location. 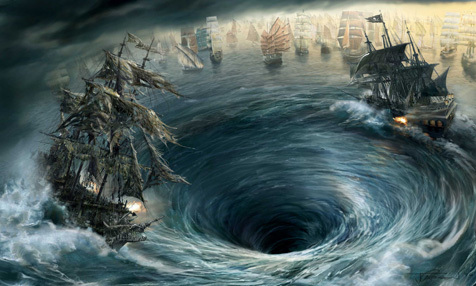 Targets caught in the maelstrom will take constant damage and be pulled towards the maelstrom’s center. Hunters cannot use jetpack while caught in the maelstrom. Targets will take greater damage the closer they get to the maelstrom’s center. Leveling up the ability will increase its radius and damage. 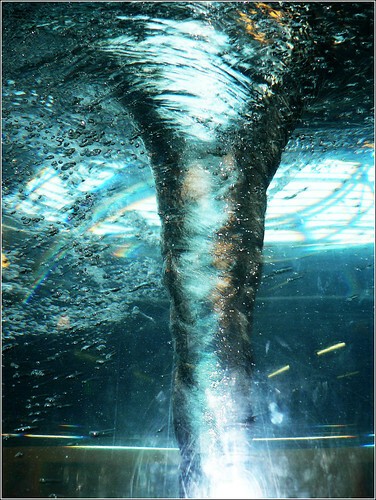 (In water) Calypso summons a pillar of water tornado at a target location. Targets caught in the tornado will take constant damage and be pulled toward the tornado’s center, both in height and width. Hunters cannot use jetpack while caught in the tornado. 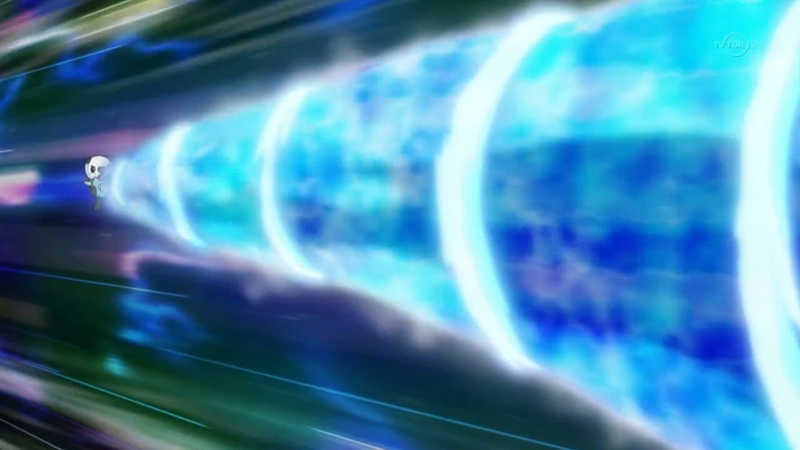 Targets will take greater damage the closer they get to the maelstrom’s center. Leveling up the ability will increase its radius and damage. (On ground) Calypso shoots out a sea serpent in a straight line. The serpent bites and suppresses the first target it comes in contact with and deals constant damage - imagine it with a Tyrant. Fellow hunters can free the trapped hunter by attacking the serpent. If a hunter gets freed or the serpent doesn’t come in contact with any target during its initial stage, it will disappear. Leveling up the ability will increase the serpent’s damage and size. (In water) Calypso shoots out a sea serpent in a straight line. The serpent bites and suppresses the first target it comes in contact with and deals constant damage. The serpent travels faster in water than on ground. Fellow hunters can free the trapped hunter by attacking the serpent. If a hunter gets freed or the serpent doesn’t come in contact with any target during its initial stage, it will start attacking the closest target, hunters being the priority. Hunters will not get suppressed by the serpent’s secondary attacks. Hunters must bring the serpent’s health down to zero in order to make it disappear back into the depth. The serpent will also disappear when the Ocean’s Realm disappears. Leveling up the ability will increase the serpent’s health, damage, and size. With Calypso, you always have an incentive to fight inside the Ocean’s Realm. She has more mobility and her abilities have greater AoE. She is basically a monster with her own mobile arena. When caught by hunters while outside the Realm, try to keep your distance from them by using ranged attacks and abilities until you can use the Realm again. Her health and armor is small like Wraith so you have to get in, deal damage, and get out. Use the Realm while in water to negate damage and build armor back up. Sea serpent is a great ability that can both distract and damage the hunters whether you’re fighting or fleeing from the hunters. I spent a lot of time finding image and thinking up the abilities and concept for this monster. Please like and comment on the post. Thank you so much for reading. I agree. While i very much like the concept and ideas you created, i dont believe it would work out to well in the games current state. With some slight tweaking to abilities and character design i could see an amphibious monster like this tho. Calypso is also out of Greek Mythology and was basically a giant being submerged in water with a whirlpool as a means to bring food into itself. Not just a pirates of the Caribbean thing lol. i like the idea of monsters being able to create their own mobile arena where they et a bonus in it. From what I can tell, the game can handle this just fine. 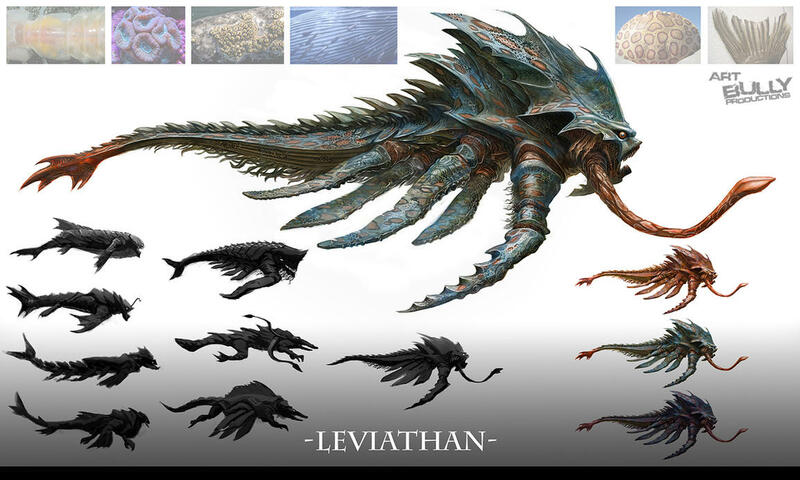 Leviathan would be a more fitting name, and some of those water-based abilities could actually be pretty fitting since it would have to bring the water to it. Fighting over water is a complete mess for Hunters already (especially against Kraken) so it would be a huge advantage for the thing to be domed over water. I dunno about the sea serpent ability, but some of these are pretty interesting. A Supernova-like pool of water could be like a water shield, slowing down projectiles. I like torrent & maelstrom as well. The one thing is that making all of a Monster’s abilities work off of one ability would go completely against the idea of selecting between 4 abilities, so they would all need to work independently and independently of a water source. Thanks for the input. I wanted to go with Leviathan first but it was already taken by someone else. As for the hunters having a disadvantage in water, I hoped to negate that by allowing the hunters to also move and shoot freely inside water. You can think of it as a aerial combat for both hunters and monster, except they can all move in any directions, not just up. I’m thinking maybe the monster can start with one point already in the Ocean’s Realm and that you have to put four points into it to master it. That way, you’ll be able to select between the 4 abilities like usual. I really like the idea of a monster with its own mobile arena so I don’t want to change that so hesitantly. 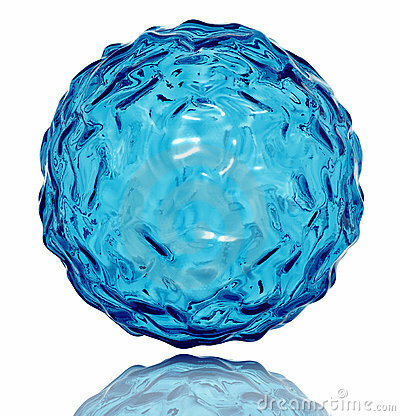 The concept is that it’s a water sphere with mystical power so the hunters won’t drown in it. I’m actually thinking of that. The monster switching in and out from limbo/void to attack the hunters. Hopefully, it won’t clash too much with Wraith’s concept. I agree that it would need some changes before it works in a game but yeah, hopefully! Which is why inside the water sphere, the hunters would be able to move freely in any direction and be able to shoot as normal.